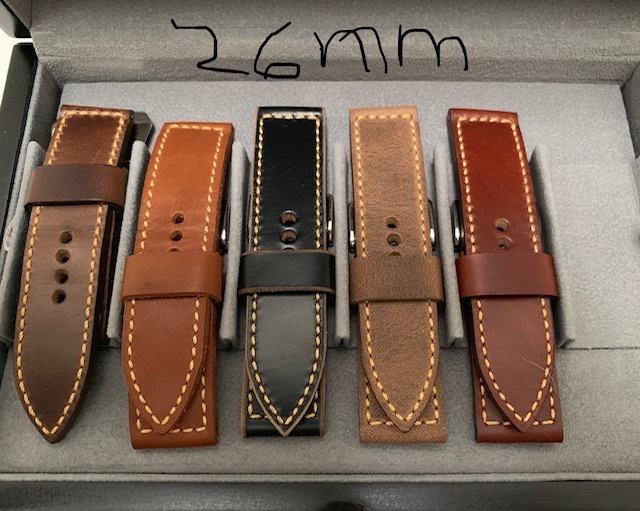 Available is a selection of Europelli Custom Made Leather straps. 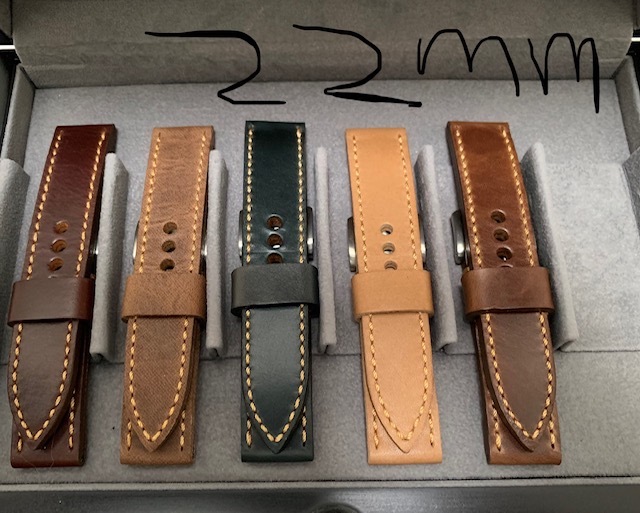 All straps are 120/70-75 and sized to fit wrists 6 Inches-6.75 Inches. Many are new and unused. 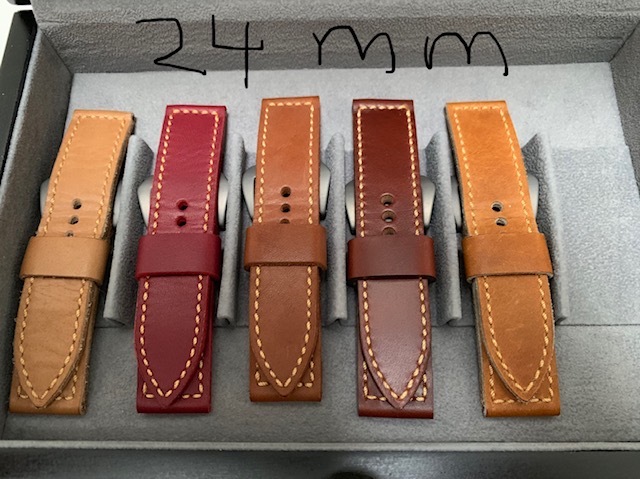 These straps are being sold as I no longer own the watches they were purchased for.